Christies will unveil the world’s largest collection of Art Nouveau and Art Deco jewellery on 13th November in Geneva. The 110 piece collection is expected to achieve around $30,000,000 and holds the most exquisite surviving examples of Art Nouveau and Art Deco design and craftsmanship. The collection is not only the largest but remains in impeccable condition with jewellery pieces by Henri Vever, Eugène Feuillâtre, Léopold Gautrait, Vican, Lucien Gaillard, Georges Fouquet, alongside 45 pieces by undisputed master Rene Lalique. Key pieces from the collection include an Art Nouveau Opal And Enamel Brooch by Rene Lalique from 1900. 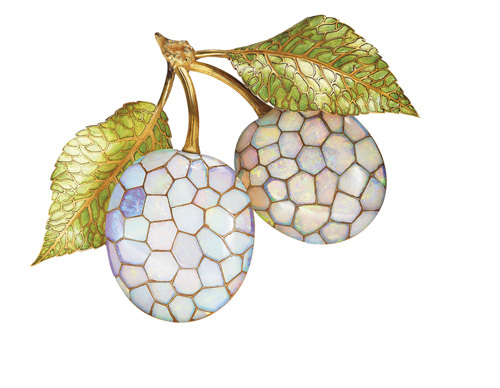 Modelled as a life-like plum branch, the two plums are set with geometric opal panels in a mosaic technique each hand cut to exquisite precision, alongside the textured gold stems and green enamel leaves. 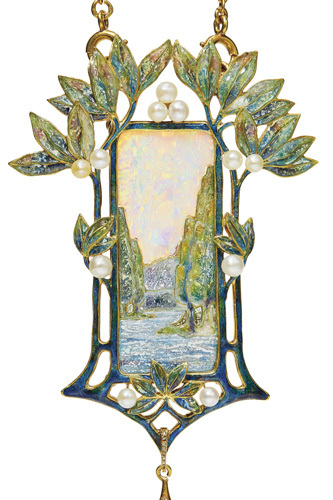 A serene landscape is captured in An Art Nouveau Opal, Enamel And Pearl Pendant Necklace by Georges Fouquet from 1900. The enamel river is surrounded by trees underneath an opal sky with enamel foliate and seed pearl accents. Researchers at Christies believe silver foil must have been used in the enamel to create the glistening and naturalistic look of the river, never seen before in a piece of enamel jewellery of this style. An Important Emerald, Onyx And Diamond Pendant Necklace by Georges Fouquet from 1925 is one of the highlights of the sale. 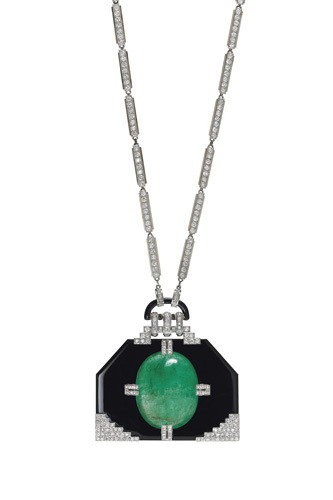 Featuring a hexagonal onyx plaque pedant set with a cabochon emerald with diamond set corners and pedant hoop, the pendant hangs elegantly from an enamel-set chain. It is said to be the collector’s favourite piece, as the family have fond memories of their mother wearing the necklace frequently, although still in perfect condition. 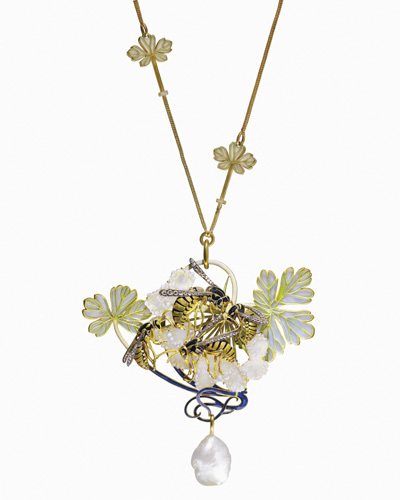 Four wasps rest delicately on a hawthorn branch in An Art Nouveau Enamel, Diamond And Pearl Pendant Necklace by René Lalique from 1899-1901. Depicted in enamel with diamond wings, the wasps are set on an enamel and opalescent glass branch complemented by a suspended baroque pearl. Explore more of the extraordinary collection and view details of the sale here.